You'll need a scoring sheet, which could either be some squared paper or this sheet. You'll also need a $1$-$6$ dice, or even a $0$-$9$ dice if you have one. You could use a spinner instead of a dice. You could also use the interactive dice here. Take turns to throw the dice and decide which of your cells to fill. This can be done in two ways: either fill in each cell as you throw the dice or collect all your numbers and then decide where to place them. Throw the dice nine times each until all the cells are full. Whoever has the sum closest to $1000$ wins. A point for a win. The first person to reach $10$ wins the game. Each player works out the difference between their result and $1000$ after each round. They keep their running total. First to $5000$ loses. You can vary the target to make it easier or more difficult. Throw the dice eight times each until all the cells are full. Whoever has the difference closest to $1000$ wins. You can vary the target to make it easier or more difficult, perhaps including negative numbers as your target. Throw the dice four times each until all the cells are full. Whoever has the product closest to $1000$ wins. Throw the dice five times each until all the cells are full. Whoever has the product closest to $10000$ wins. Each player works out the difference between their result and $10000$ after each round. They keep their running total. First to $10000$ loses. You could introduce a decimal point. The decimal point could take up one of the cells so the dice would only need to be thrown four times by each player. You will need to decide on an appropriate target. Whoever has the answer closest to $1000$ wins. 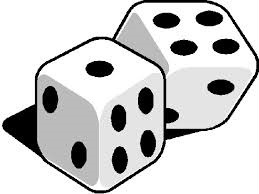 Throw the dice six times each until all the cells are full. Whoever has the answer closest to $100$ wins. Each player works out the difference between their result and $100$ after each round. They keep their running total. First to $500$ loses. How do you decide which targets are appropriate? What are effective strategies for placing the numbers? These games are thought provoking and very engaging. They encourage discussion of place value, mental calculations and estimation, alongside strategic mathematical thinking. 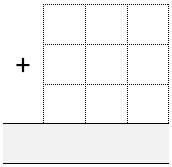 Easier version: try using fewer cells in each game, or use number cards that the child can move around the grid to consider different options. Calculators could be used to check answers. Harder version: try using the harder scoring system, or changing the target number to make it more difficult. Comparing and Ordering numbers. Mental multiplication & division. PrimaryGames-Strategy. Estimating and approximating. Place value. Interactivities. Visualising. Mental addition & subtraction. Games. PrimaryGames-Number.